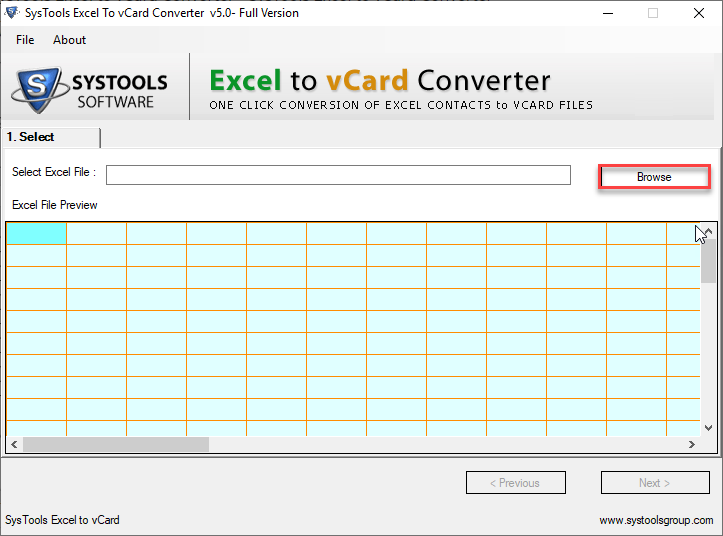 How to Convert Excel Contacts to vCard? 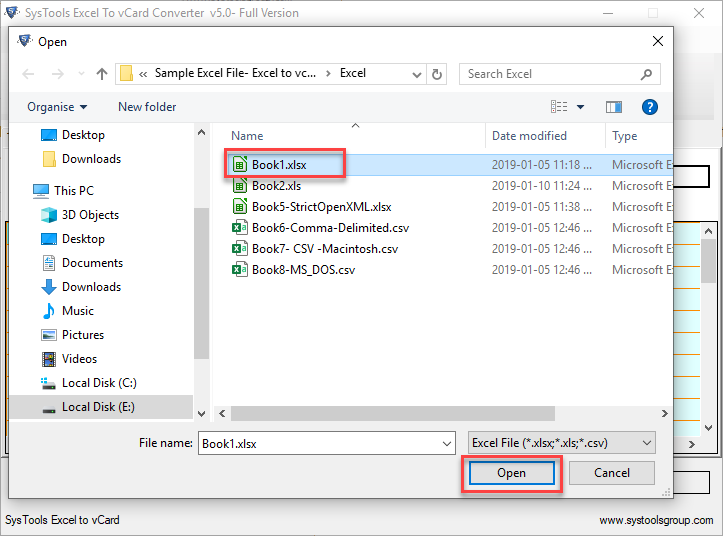 Click on the Browse button to select an MS Excel file. Then, the software will display the following screen. 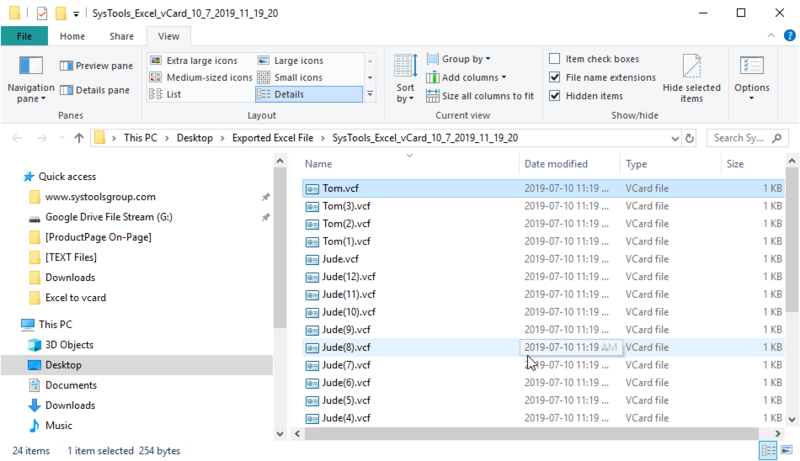 Select the desired MS Excel file and click on Open button. 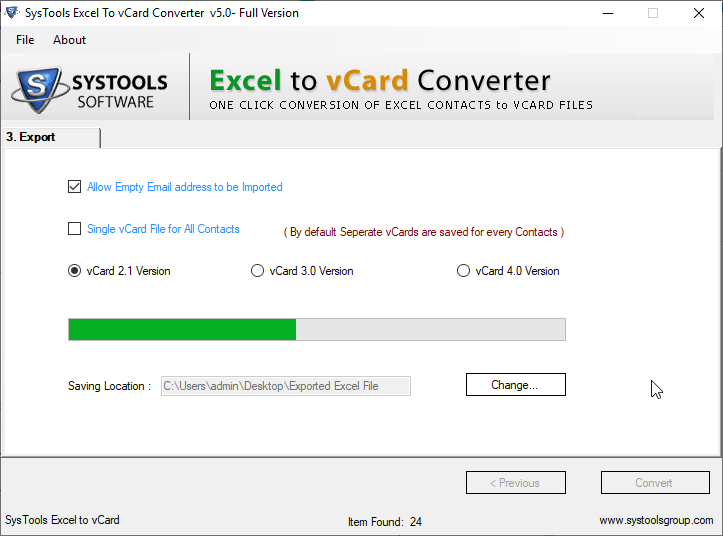 Note: Software immediately converts approximately 40,000 contacts at a time from excel to vCard format (TESTED). 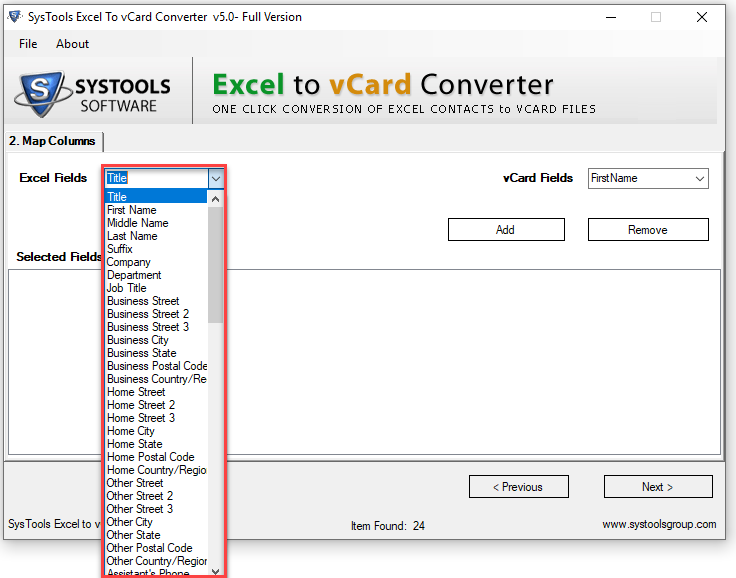 Choose Excel fields from the left side of the screen. 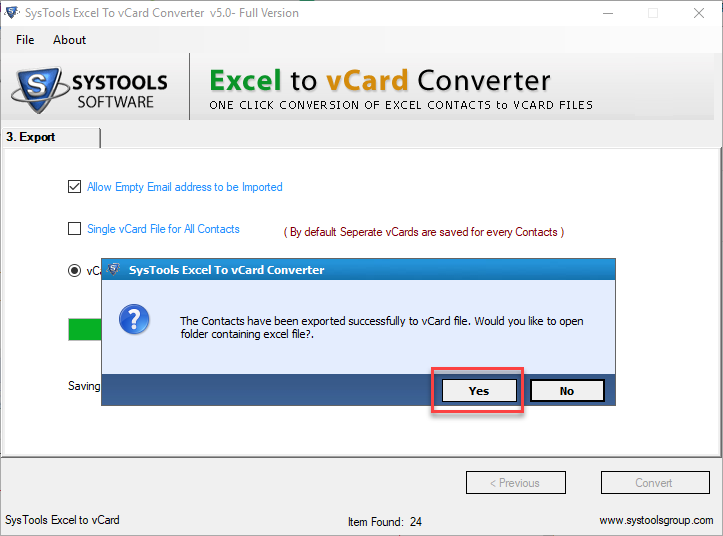 Then choose any of the Outlook Attributes from the right side panel of the software. Then after matching the fields, click on Add button. The tool will now display the list of matched attributes. After this click on Next > button. 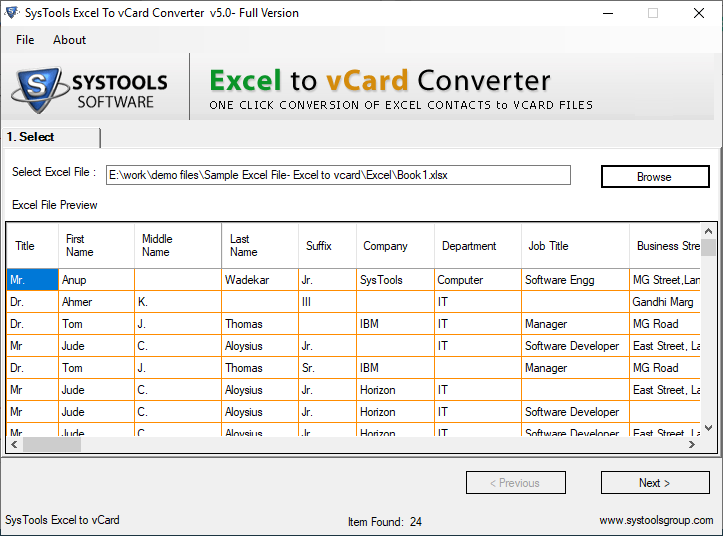 Now, check the options you want the software to handle during the conversion process. 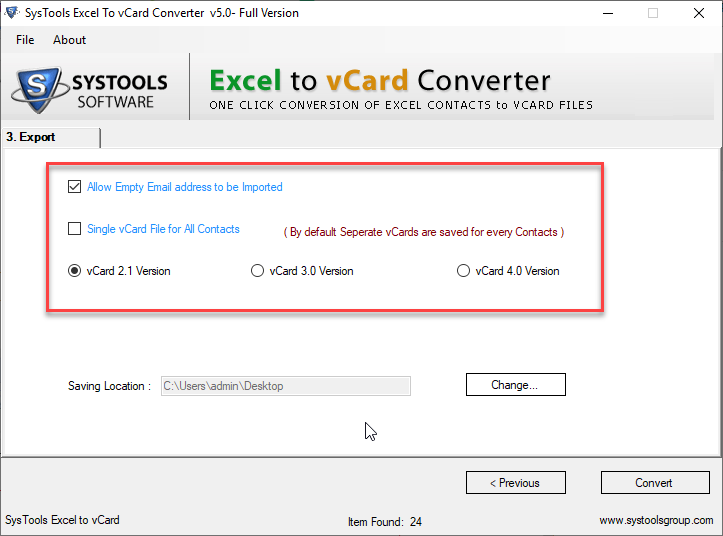 Checking this option will allow software to convert contacts with empty email address fields. 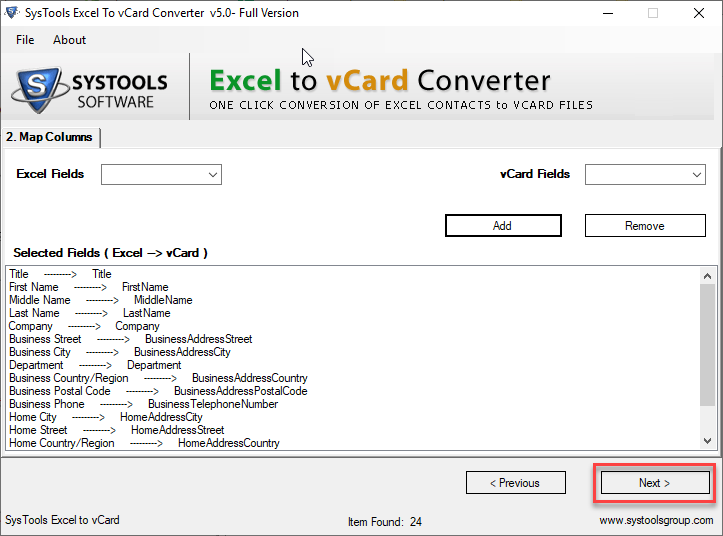 It can create a single vCard file for all contacts and create individual .vcf for each contact present in the selected Excel sheet. After this click on Convert button to start the conversion process. 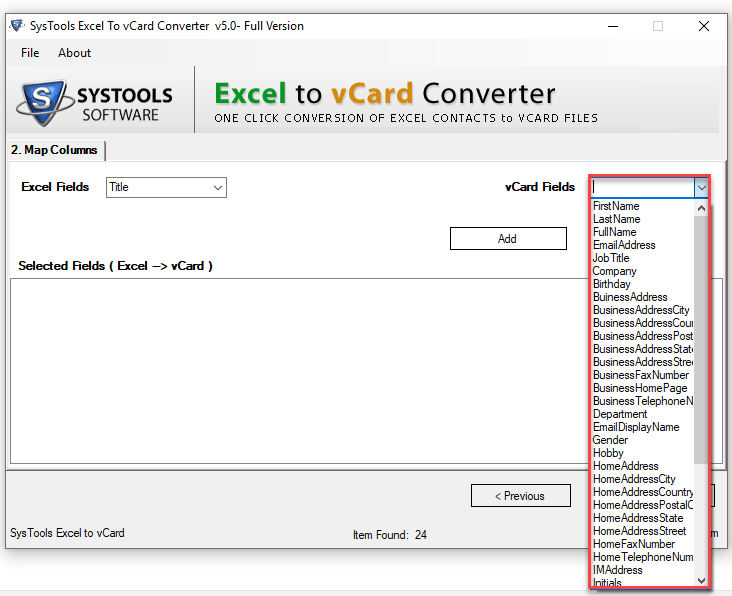 During the conversion, software shows a number of empty email addresses and number of contacts added into vCards.